John Battelle's Search Blog Twitter’s S1: How Do the Numbers Stack Up To Google and Facebook? Twitter’s S1: How Do the Numbers Stack Up To Google and Facebook? * Top line growth y/y: 118%. 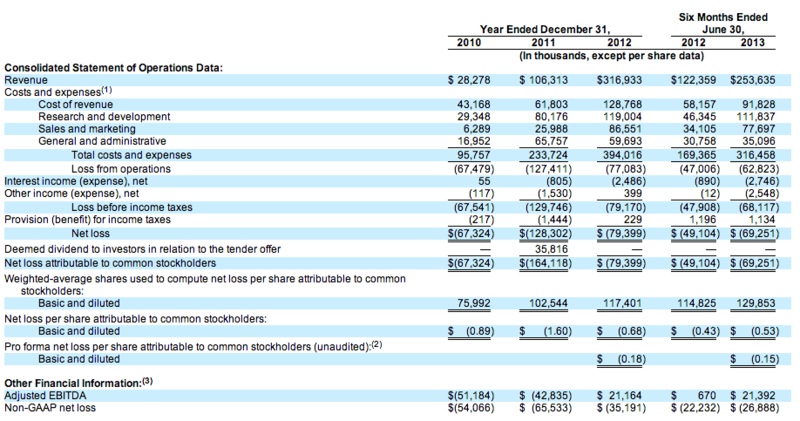 Twitter shows financials up to Q2 2013, so through June. Growth 1H 2012 to 1H 2013 is our most recent comparison: $101.3mm in 1H ’12, to $221.4mm in 1H ’13. 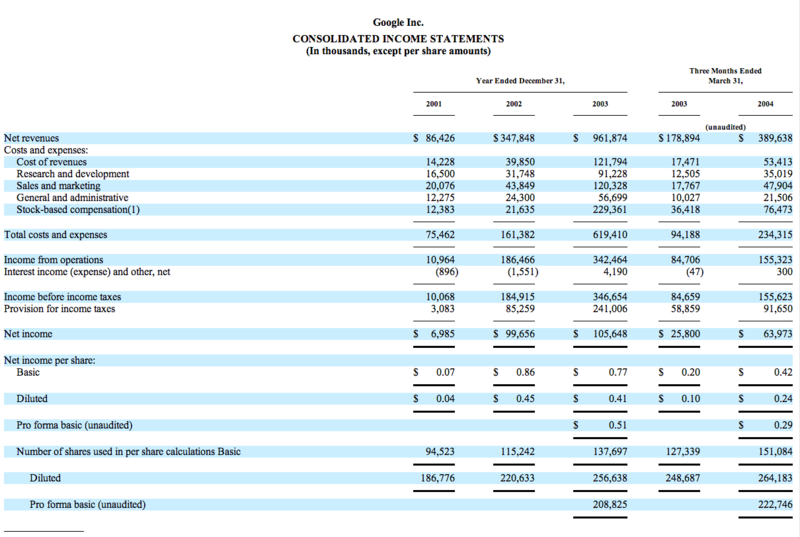 That’s impressive y/y topline growth of $120.1mm, or 118%. * Implied 2013 topline: nearly $600mm, but possibly pushing $750mm. Twitter’s earned 62% of its 2012 revenue in the second half of the year. If it does the same this year, that would imply a topline revenue for 2013 of $582.4mm and a second half of around $361mm. Given Twitter took the option of filing its IPO under the JOBS Act, which allows for confidential filing for businesses under $750mm in annual revenue, one could argue that it filed because it knew it was going to have a blowout second half, which would push its FY topline over $750mm. If indeed revenues are accelerating beyond the norms set in 2012, we may see a second half revenue figure of closer to half a billion, which would be pretty spectacular. 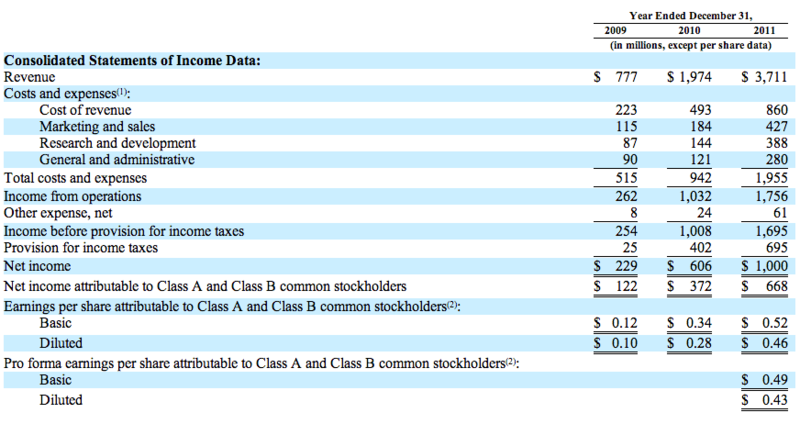 Now, what about Facebook’s initial S-1 filing? Facebook was pretty much ready to go public a year or two before it actually did. By the time it went out, the public has already assumed it was a behemoth, and the offering failed to “pop.” It seems Twitter is learning from Facebook’s IPO, and is going out just at the moment it hits its financial stride, a bit earlier than Google, but before Facebook, in terms of financial maturity. Now that Twitter is on the road to going public, it’ll be very interesting to see what the company’s third quarter filings look like. My guess is they’ll be very strong – the company is far too smart to plan it any other way. If I had to wager – and remember, I have no inside information, this is all speculative – Twitter will report a quarter that shows stronger growth than historical norms of 2012 might imply. We’ll know soon enough. If you’re a Twitter employee, partner, or investor: Congratulations on achieving such an important milestone. The world’s really watching now. PS – I’d also be interested in a free-cash flow analysis of the company, but I don’t have the time to do that work. Anyone seen a good analysis? Pingback: Weekend reading recommendations « Martin's thoughts on the web. And life. Check this re: further analysis.